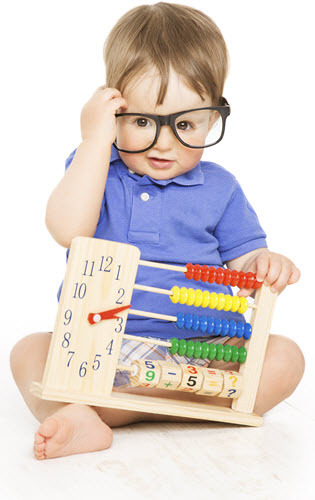 Calculators can be more than little hand-held devices that you use to multiply large numbers. Many different kinds of calculators exist thanks to websites online that offer them for visitors to use. You can use a calculator for tricky math problems, but this isn't the only way they can help you with your school work. You can also use special calculators for other functions in connection with science, time, money, and health. Math calculators are a common sight, helping people manipulate large numbers quickly. Additional calculators are also available to perform more difficult functions, such as figuring the circumference or area of circles. You can even use algebraic calculators to help you learn how to compute algebra equations. Many of these tools show you the sequence of steps involved to solve math problems so you can learn how to work them out on your own without help. When you need help with science, a variety of tools are available. Some websites offer online scientific calculators, which can help you with advanced math, scientific notation, unit conversion, and more. You can also use a hand-held scientific calculator for solving problems. It's possible to use calculators to track and decipher weather conditions. Many online calculators are available that enable you to calculate weather conditions around you or in any location. For example, with a heat index or wind chill calculator, you can learn about conditions outdoors to know whether it's safe to be outside. A humidity calculator helps you determine the comfort level of current weather conditions. A rainfall calculator enables you to determine how much rain has fallen. Calculating time can be challenging, but calculators make this a simple task. For example, you can use a calculator to figure the amount of time between two dates. You can also convert time such as days to seconds with an online calculator. If you like to run, you can use a tool to figure out your finishing time for a race or a specified distance. Countdown calculators enable you to count down the days, hours, minutes, and seconds until a target time. There are many different things you might need to figure out with money, and calculators can simplify these tasks. If you have a savings goal and you want to know how long it will take you to reach your goal, you can use a calculating tool. You might calculate compound interest for a loan. You can also figure out how much money you'll need for college using special tools provided online. It's even possible to use a calculator to estimate how much money you have in a coin jar. People who like to cook can find a variety of calculators available for help in the kitchen. An online tool can help you convert a recipe to make it smaller or larger. Some calculators even allow you to enter the number of people you want to serve and adjust the recipe to make the desired number of servings. If you're curious about nutritional information for recipes, calculators are available that will analyze recipes for you. Many people use calculators to help them maintain their health. You can use a BMI calculator specially designed for kids to calculate your body mass index. An activity calculator will tell you how many calories you burn during specific activities. Calorie counters are also available that enable you to enter specific foods and serving sizes to calculate the number of calories consumed. Calculators aren't just for work, though. You can have fun with them, too. For example, you can use a calculator to convert human age to cat age or cat age to human age. You can also use a special tool that will tell you how much you weigh on Mars, Venus, or other planets. Exploring information and processes with calculators and conversion tools can be entertaining and enlightening.